Recently there has been some great news coming out of Syria. It is particularly good because it is directly effects the safety of my family there. My wife’s village is located just a few miles from where the terrorists stronghold at Al-Hisin which lies within the Christian area of Wadi al-Nasara (or the Valley of the Christian) in Syria. The Syrian Army along with the local Christian militia just took control of Al-Hisin and have now cleansed the surrounding villages of all of the Islamists. Our family and the good people of the area celebrated their victory and a big sigh of relief for the restored safety of all the real Syrians in the area. This majestically built castle, which was once esteemed as the “key of the Christian lands” in the Middle Ages, was stolen by the Muslims. 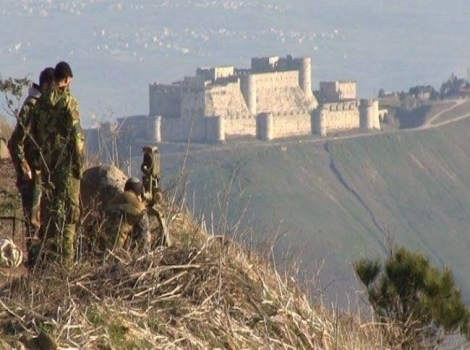 The castle was eventually retaken by the Syrian military, and here is a beautiful photo of the Lions of the Canyon standing in front of the wonderful citadel of Christian antiquity Al-Hisin overlooking the Christian villages in Syria. But, there are those in this nation of Syria who, when they “seeth the wolf coming,” do not “leaveth the sheep, and fleeth” (John 10:12), but sell their garments and buy swords (Luke 22:36). These are the Lions of the Canyon, a recently formed militia who “take up the cross” (Mark 10:21) and “destroy the works of the devil.” (1 John 3:8) They fight guns, big canons, and most importantly, zeal. As a footnote; the Syrian Army showed the dead bodies and the IDs of the so called ‘rebels’ and sure enough most were not Syrians but Islamists from other countries. As noted before in ‘Syria’s Bashar Assad – An American Ally‘, Assad and the Syrian Army are the g0od guys who are fighting against the same Islamic scumbags that our soldiers fight in Iraq and Afghanistan and the same ‘rebels’ who flew planes into our building on 9/11. The reason Assad has been able to hold on for 3 years and is overcoming the Islamic invasion, aka ‘Arabic Spring’, is because the people of Syria are behind him. UN-reported by the shameful Western media, Assad runs a secular government that protects the Christians and the Jews that live in Syria. Also since Assad took control after his father, the Syrian people have enjoyed freedoms and a bustling economy like never before. (Too bad we can’t say the same under our current President!) Of course the Islamists want all Jews and Christians dead and a Sharia state so they want Assad out. 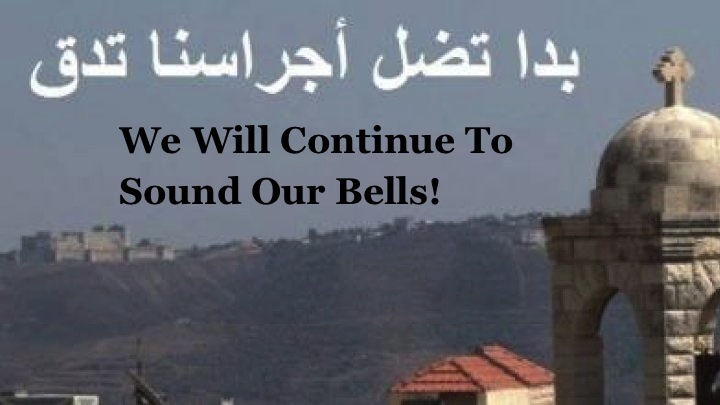 The following article by Walid Shoebat is a complete review of the atrocities and the victories in and around Wadi al-Nasara, or the Valley of the Christians in Syria. Bravo Walid for this great reporting. What a shame it is that most people have no idea what’s really going on because the disgraceful and Islamist enabling American media. Posted on March 24, 2014 by Walid Shoebat and Theodore Shoebat – The blood of countless martyrs are found in thick pools in Syria, and from a distance do callous eyes look about, doing nothing and being wicked and slothful servants (Matthew 25:26). In Syria, endless mounds of human bodies lay rotting, and the followers of Muhammad linger about, preying and pouncing upon whoever they can devour. Here is a photo of Christian martyrs in Syria including families and small children and the shameful West is silent! 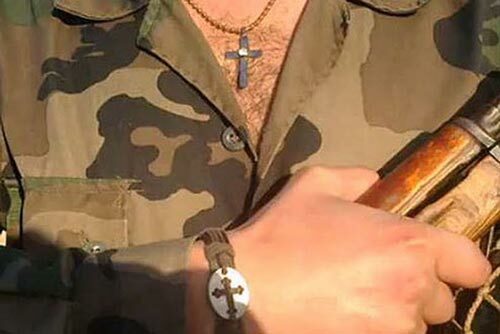 The militia is stationed in the area of Wadi al-Nasara, one of the most Christian populated regions in Syria, and they have succeeded in protecting 42 villages and towns, including 33 Christian villages. With such onerous actions can they be esteemed as truly modern day Crusaders, fortifying their brethren and defending the Christian lands and churches from the slithering serpent of the garden. In protecting the churches and the villages with arms and the fierce spirit of zeal, these Christians militants are exemplifying the purest form of Christianity, without the taint of beguile and the ways of the hireling, but in following the footstep of the shepherd who sheds the corrupt blood of the wolf before he sinks his scarlet stained teeth through the gentle flesh of the flock.